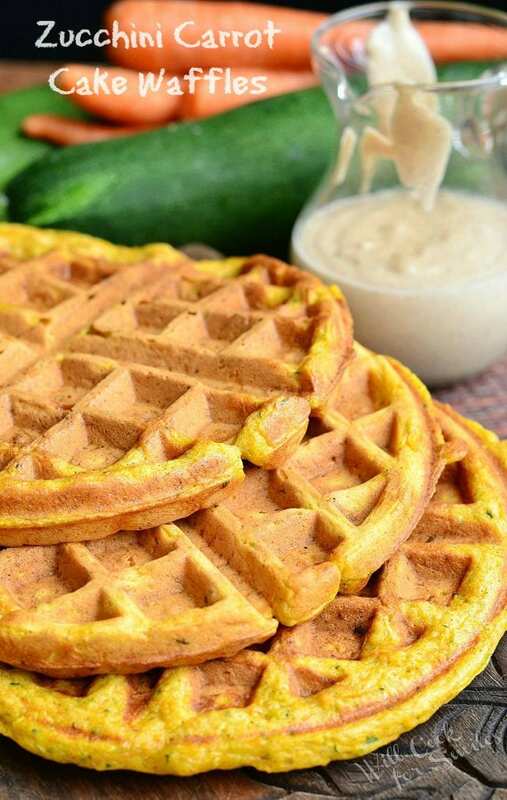 Delicious easy breakfast that’s perfect for any day of the week. 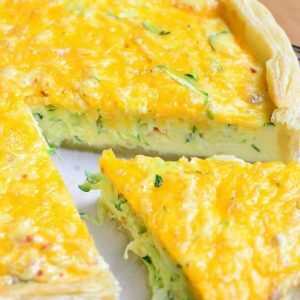 Fluffy, creamy quiche made in a puff pastry crust, flavored with sriracha seasoning and packed with fresh zucchini and cheddar cheese. 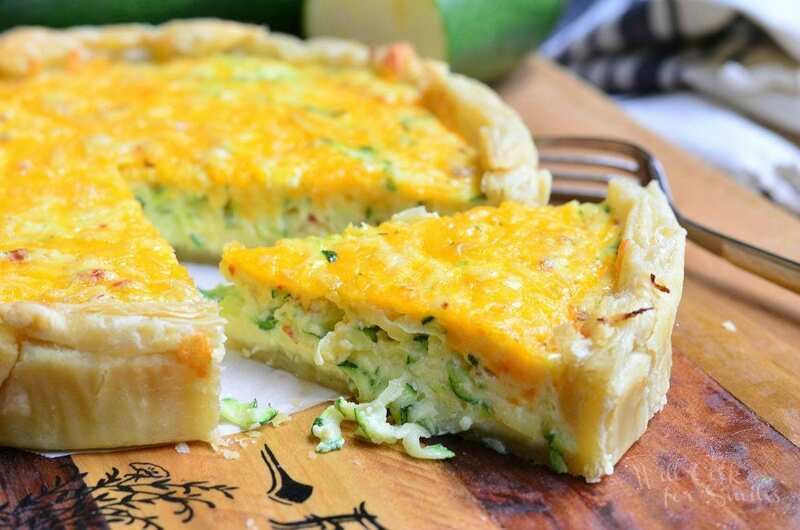 Whether you are having a leisurely brunch or want an easy breakfast, you’ll love this zucchini and cheese quiche. It’s super simple to make and very tasty. I absolutely adore puff pastry. I love it in sweet creations as much is in savory dishes. I remember we had these beef stew bowls topped with puff pastry on the menu at our old restaurant and I always wanted to get it just for the slice of puff pastry on top. It would be soggy on the bottom, where it touched the stew, and crispy on top. Thinking about it is making me drool. For that exact reason, I prefer using puff pastry in hand pies and in quiche over pie crust or yeast dough. It’s so soft, flaky and soggy at the same time. The good kind of “soggy,” of course. 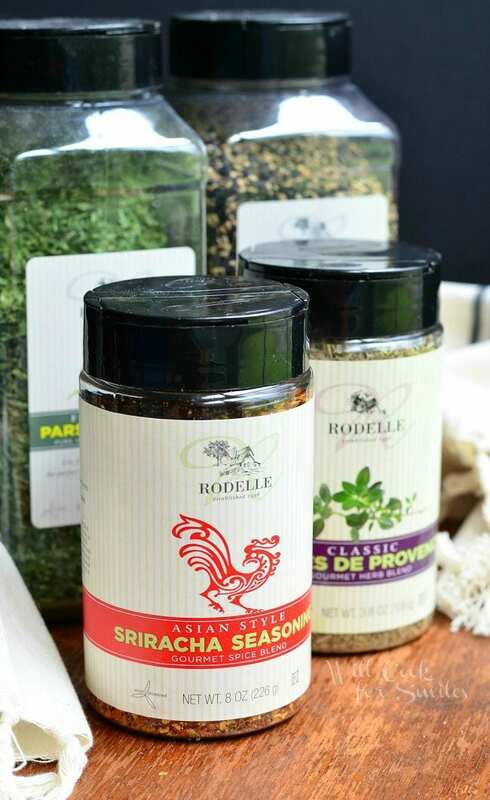 When I was visiting my friends at Rodelle this past spring, they made us some delicious food for breakfast and lunch in their test kitchen. I was especially impressed with homemade tomato and herb tortillas and, believe it or not, eggs. Yeap, you wouldn’t think that your good ol’ scrambled eggs could be very memorable but they were really tasty. First thing I asked when I tasted them was what was in the eggs to make them so tasty. Turns out, it was just Rodelle’s Sriracha Seasoning. It is SO good! I can’t make scrambled eggs any other way now. 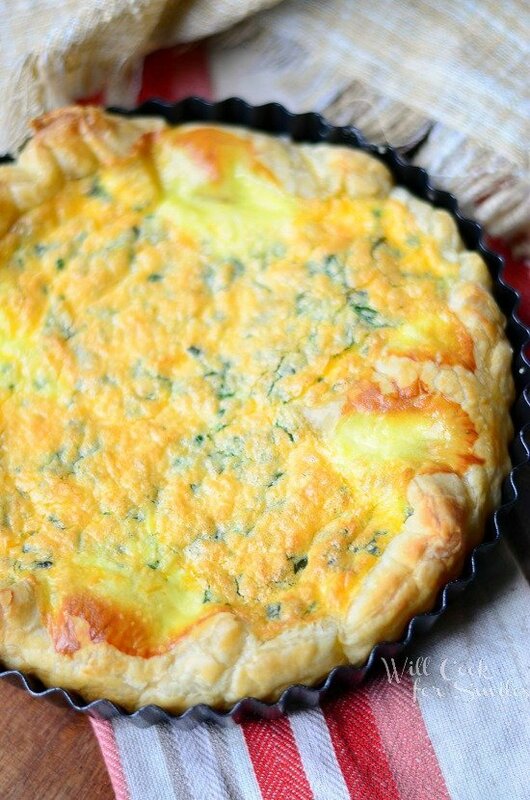 I’ve also been using this seasoning mix in other things like this quiche you see here, meats and roasted veggies. I know, you wouldn’t think that vanilla company would have anything other than baking flavoring products but they have quite a few spices to offer. My husband is excited to try their brisket rub and I can’t wait for the weather to get cooler so I can make some mulled wine with their Wassail spice blend. 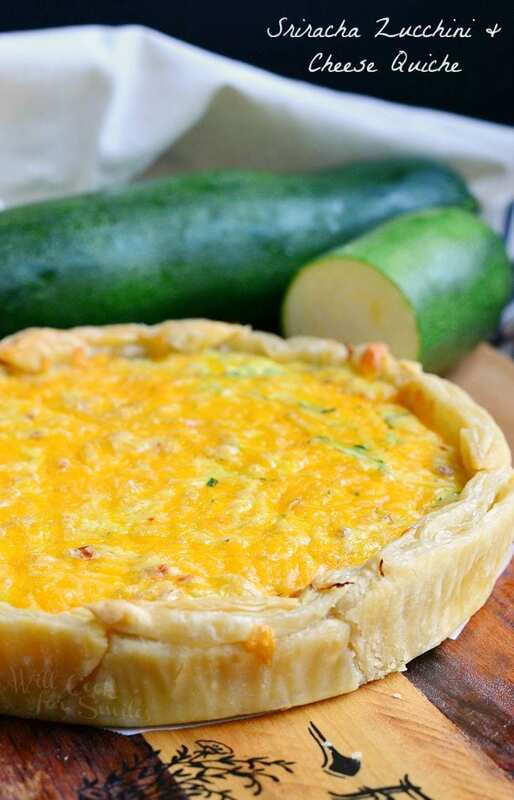 Fluffy, creamy quiche made in a puff pastry crust, flavored with sriracha seasoning and packed with fresh zucchini and cheddar cheese. Preheat oven to 350 and lightly grease a 9-inch round pan. I like to use the pans that has straight up edges vs pie pans. Grate zucchini on a large grater, squeeze the juice out and set aside. In a large mixing bowl, whisk together eggs, sour cream, sriracha seasoning and flour, until completely mixed and smooth. Be careful adding extra salt because the seasoning mix has some salt in it. You can add an extra teaspoon of seasoning if you want to go a little spicier. Center puff pastry dough in the baking pan and very lightly press it in the corners of the pan so the dough hugs the pan. The corners of the dough that are sticking out, you can cut and use to even out other parts of the crust. Spread prepared zucchini over the bottom of the dough, evenly. 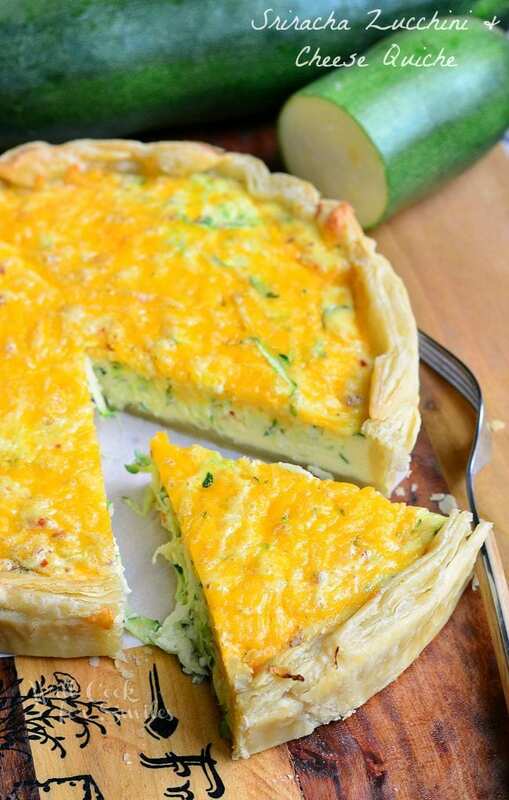 Slowly pour egg mixture in a circular motion so it hits all parts of zucchini. Spread shredded cheese over the top. Bake for about 35 minutes. Center will be slightly jiggly but raised and edges will be set. This seriously looks absolutely outstanding. I am in love with the flavors and the sriracha! And thank you so much for the link back love! 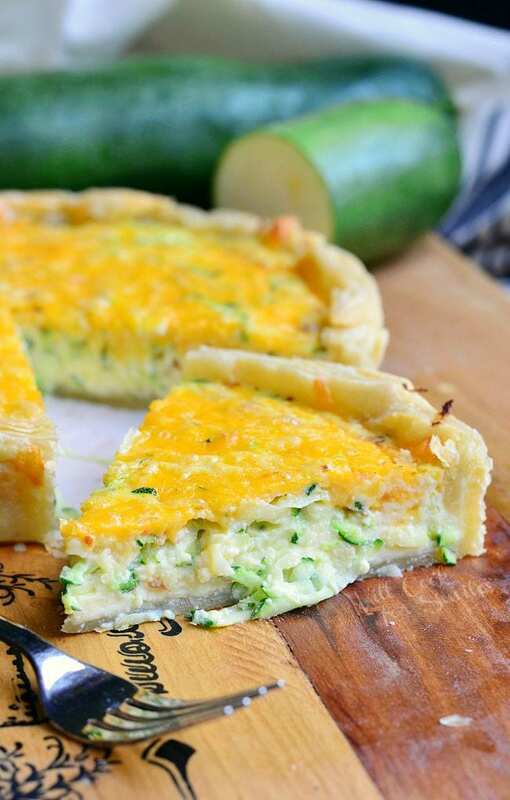 Wow this is a fantastic idea to use up garden zucchini! Puff pastry is my favorite, and makes this recipe so much easier too. 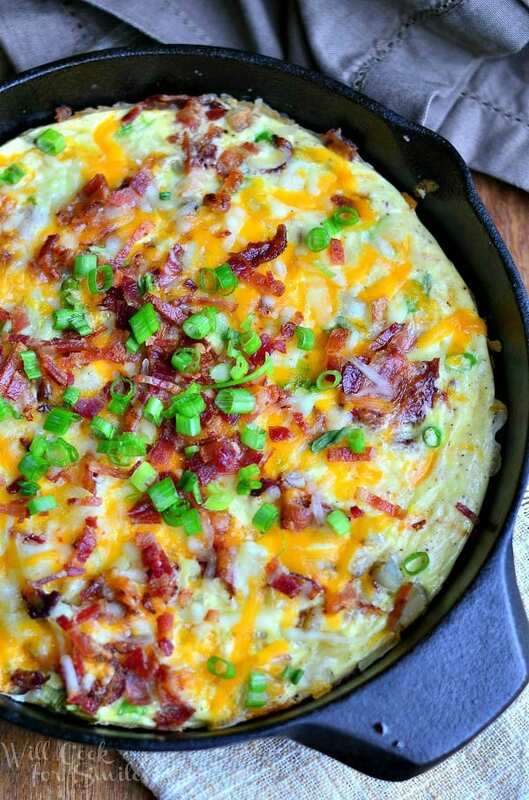 I will have to try this soon, my husbands birthday is coming up and this would be a great breakfast idea. You said the magic words: Sriracha, Zucchini, Cheese! And all of that in glorious puff pastry. Yum!! The seasoning sounds wonderful and I’ll definitely try it out. 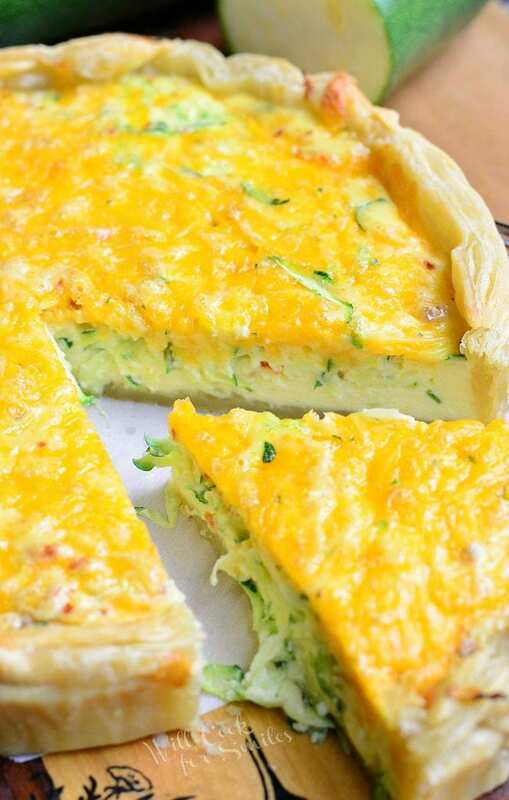 I wish I could taste the quiche right now. Your pictures are fantastic!! Oh by the way, I am so excited — Amazon said The pumpkin lover’s cookbook is being delivered today 🙂 Have a great day!! Awesome recipe! Pinned and YUMMED! Uhm, this looks absolutely amazingly perfect!! That puffy crust, I’m in love! And summer zucchinis are just the best. I need to try this!! Awe, thank you so much, Jess! !